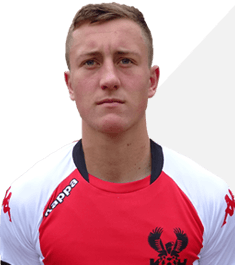 Locally born Harry Higginson is a graduate of the Harriers Under 23 team and was formerly on the books of Walsall and West Bromwich Albion. He actually played for the Harriers under 12’s when he was ten years old. He made his debut for us at AFC Telford Utd in January 2019. Playing the full ninety minutes the left sided defender impressed all who saw him put in a solid performance.